WordPress is the premiere Content Management Systems (CMS). Drupal is another suitable option. Both systems are easy to manage systems and can provide you with the ultimate marketing tool. Building systems that are easy to manage. Simply put, a Content Management System (often referred to as CMS), is a system that allows you a login from your browser, and full control to add new pages & content. Adding, removing, or modifying existing content is a breeze. No longer do you need to call your web developer & spend hundreds if not thousands updating your site. Get a site that’s built for you to have full control. We build Custom Web Design services to build around your brand or identity. All of our websites are Responsive Design & Mobile-friendly. WordPress, more than a website. It’s a marketing platform & tool. Optimize your site to get more traffic with our Search Engine Optimization methodology. It really comes down to preference. In general, WordPress is the elephant in the room. By far the most popular, and extremely easy to manage. 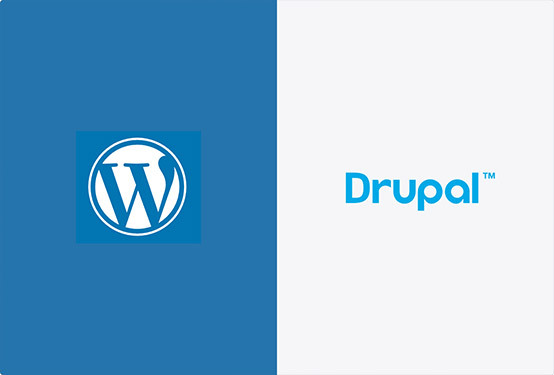 Drupal is another high-performing CMS (even lighter weight & faster performing than WordPress). The disadvantage is there’s less plugins or extensions on the marketplace for you to purchase (or even use for Free). Both options are suitable for most all instances. If you’re going larger-scale, you may want to explore Drupal. Though WordPress can be well-optimized, and perform just fine as well. Have a new event you want to share? Create a new post & shared event details and post to your Social Media. Managing this through a CMS site is easy-to-do. Not only that, it’s a sure way to improve your SEO & Marketing plan. Depending on your budget there’s a couple of options. Our Custom Web Design uses the Prototyping & UX/UI Design phase to build the ultimate experience. We will focus on the goals you’re looking to reach for each individual page (what do you want your customer to do?). For those who have limited budgets, we offer template themes that offer a “starting point.” From there, we will incorporate your brand, colors, content, & imagery to design a website you will have full control of & love. That’s right. Start releasing articles or content using your Keyword Strategy. Publish new articles containing your “long-tail keywords” and start ranking your website up (without paying a fortune). This is a goldmine for your business — we provide our clients with this insight for any of our Custom Web Design packages. FD Merchant was seeking to build a web experience to educate new prospects about their payment credit card services. At FD Merchant they provide payment processing solutions for all types of businesses, primarily in the hotel & hospitality space. Build a website you can manage, quick & easy.